Very cool- thanks for sharing. This is yet another myth I’ve not seen before you bringing it to my attention. Brilliant story– thanks for posting it! I’m curious: to what extent were stories of Raigo believed by their audiences? I know that yokai legends (as with most legend collections) often mix pure fiction with actual belief, and that things become very complex over time. I know a person, for instance, whose mother swears she saw Kuchisake-onna. Also, do you mean THE Mike Mignola? The modern urban legends of Kuchisake-onna scared the wits out of many young kids a few decades back. When I brought up the topic with my 49-year-old wife, she abruptly said “Stop it. I don’t wanna talk about her. She scared the hell out of me and my classmates. I’d rather just forget it.” As to older legends from the Edo period, one can only speculate. Have you never played the Ouija board game? That even scared the hell out of me in my youth…………The Japanese had a somewhat similar game called Kokkuri 狐犬狸 「こっくり」. 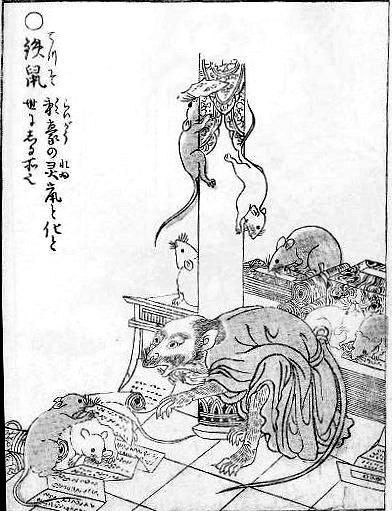 Literally “Fox, Dog, and Tanuki.” Kokkuri was an extremely popular mass-culture divination game in the 1880s. See http://www.onmarkproductions.com/html/tanuki.shtml#misc and then scroll down for details. Is there any other Mike Mignola? Yes, he of Hellboy fame. He’s as much a master of folklore as MIzuki Shigeru, and I always love talking with him when I get the chance. As to what extent they were believed … I would say during the Edo period and before the belief was absolute. In modern times … well … the monks at the Temples act like the story is 100% real. Take that for what you will. As Mark said, the kuchisake-onna is a whole different story. She is modern, an urban legend and you will find people that absolutely swear they have seen her. But then again, I’ve seen the Loch Ness Monster, so what do I know? 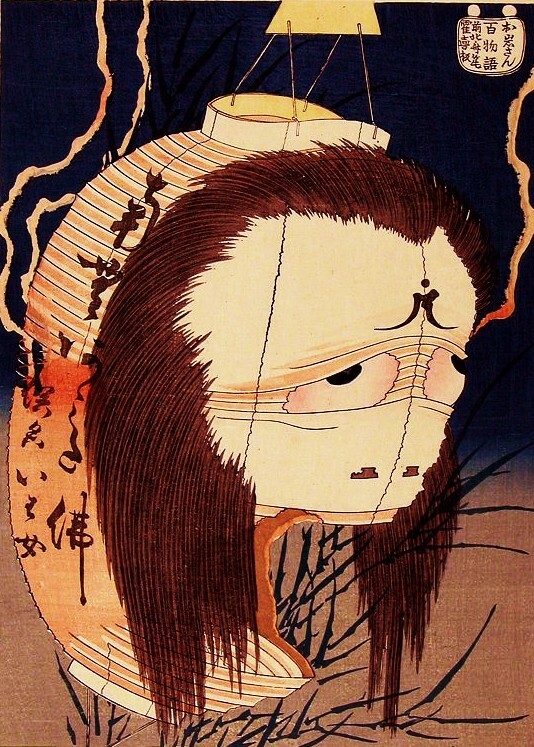 Btw, there are some Yokai that are very obscure and I would love learning about them, like the Honekarakasa, Kurayaro, Eritategoromo and Hahakigami, it would be great if you could fin info about them, translate it and post it here. Thanks Blue Satan. I probably won’t be doing obscure yokai anytime soon — I usually have a sort of vague plan of what I will do next that I stick too, unless something crops up like this one for Mike Mignola. 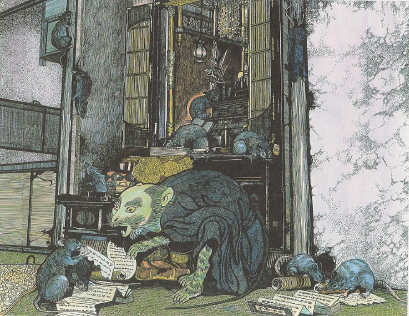 I still plan to do Hashihime, and then I will be doing a series of yokai that appear in my translation of Mizuki Shigeru’s “Showa: A History of Japan.” Most of those are pretty familiar, but I find that there is always more to be discovered about them. That’s my plan for now, at any rate! Things can always change! Wow, thanks for the quick reply! Well, I will wait till someone post that obscure yokai, or just learning japanese will do XD But there are a lot of other yokai that are very interesting and I want to know more about them, so be prepared! 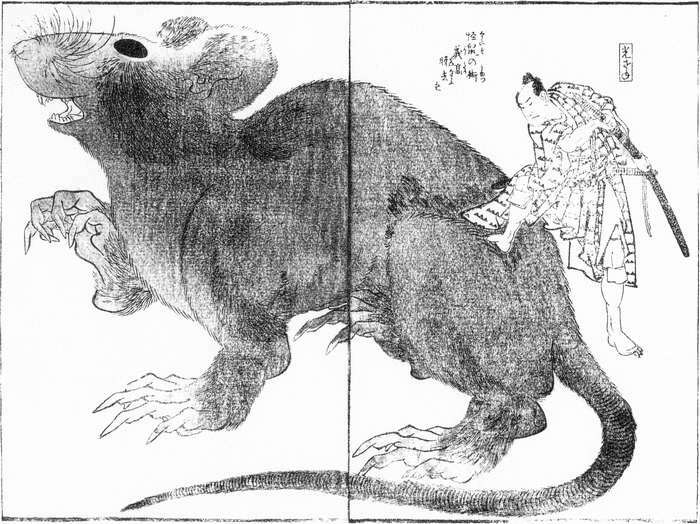 That Yokai of “Showa: A history of Japan ´´could be very interesting. I´ll be waiting for them! And I completely agree with you: there is always more to be discovered about all the yokai, so keep up the good work! 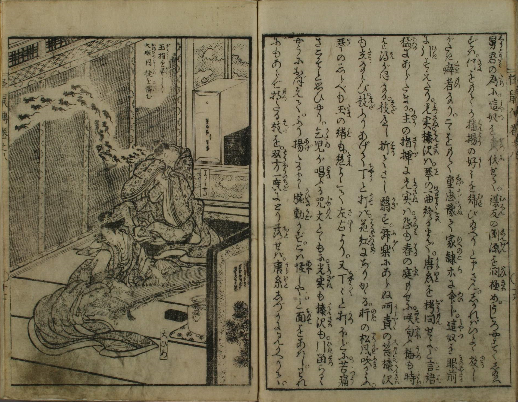 Btw, I´m planning on getting the book “The great Yokai enciclopaedia´´ cause I need more info about some yokai for my blog, and I was thinking if you could give me your opinion about this book; if it´s worth it or not and your personal opinion. Thanks! I’d like to do some more obscure ones some day as well. Just a matter of time. If you are looking for a yokai book, I recommend “The Night Parade of a Hundred Demons.” It’s my favorite English-language book. I already have that book; is very useful and complete and I follow the blog of his author, Matt Meyer. 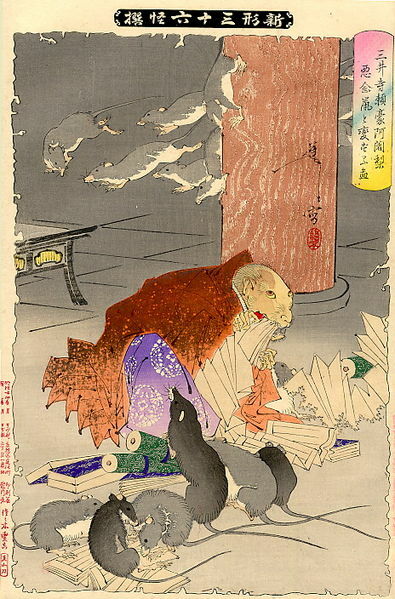 I’ve never read “The Great Yokai Encyclopaedia,” so I can’t really comment on it. The author, Richard Freeman, comments on here from time to time. I’m sure it’s a great book and I would love to read it sometime. If you get a copy, report back and tell us all about it! If I happen to see him around here, I’ll ask him what type of yokai can I find in his book. I’ll buy that book soon or later, and I’ll post my impressions here for sure when that occurs! Btw, I recently have read the book “The legends of Tono´´. It´s an awesome book and a masterpiece of japanese literature. It has become one of my favourite books and is a treasure for me, and I have posted my impressions and the review on my blog! “Legends of Tono” is a great book. Mizuki Shigeru did a comic version of it as well, that I hope gets an English translation some day. I have translated about 1/3 of his comic on my own just for fun. I’m looking forward to read the manga version of Tono, because it´s amazing. Hope we can read the translation someday, and better if you translate it! That’s all up to Drawn & Quarterly, and how many people support the current Mizuki Shigeru releases. If you want to see more, be sure to pre-order “Showa: A History of Japan.” Pre-orders go a long way to determining if more Mizuki books get on the schedule! As a Paranormal Researcher and Occultist I believe the legends are one and the same. That being said, a lot of East Orient countries have seem to pass on knowledge Esoterically (un- written, focusing on Oral traditions) so maybe Raigo’s ghost killed the Emperor’s heir later on. I mean the legends AND history are one and the same. This is one I’ve not heard of before!